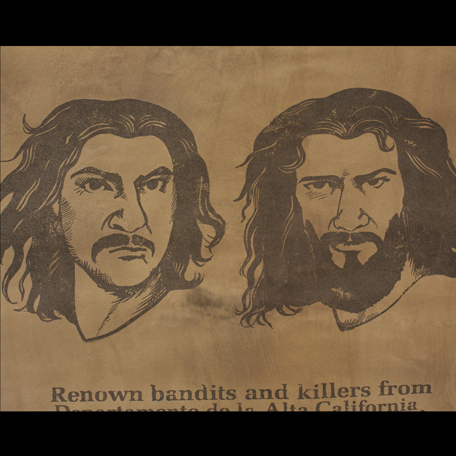 This prop “Wanted Poster” was used onscreen in the 1998 motion picture “The Mask of Zorro” starring Antonio Banderas, Anthony Hopkins, and Catherine Zeta-Jones. 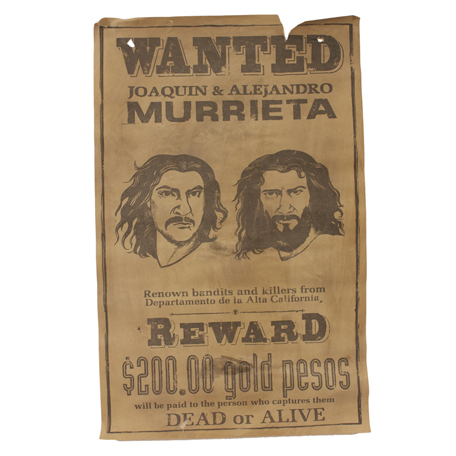 The prop was one of a very limited number that were custom designed and printed for use on the production and features the likenesses of “Alejandro Murrieta” (Antonio Banderas) and his brother “Joaquin Murrieta” (Victor Rivers). 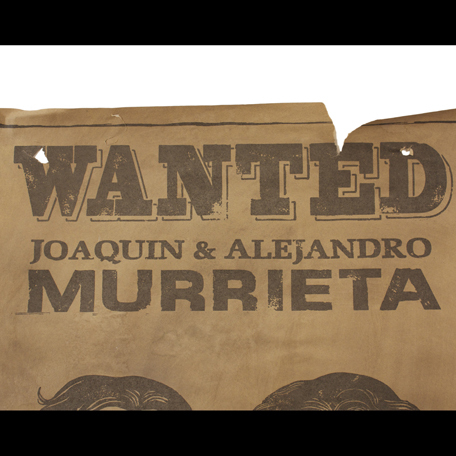 The poster is printed in faded black ink on hand aged/distressed parchment paper and reads “Wanted: Joaquin & Alejandro Murrieta, Renown bandits and killers from Departamento de la Alta California. 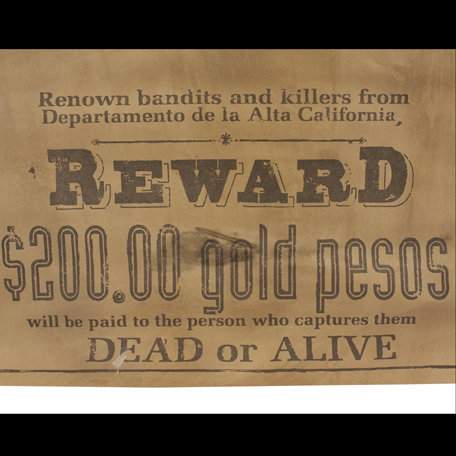 Reward $200.00 gold pesos will be paid to the person who captures them DEAD or ALIVE”. 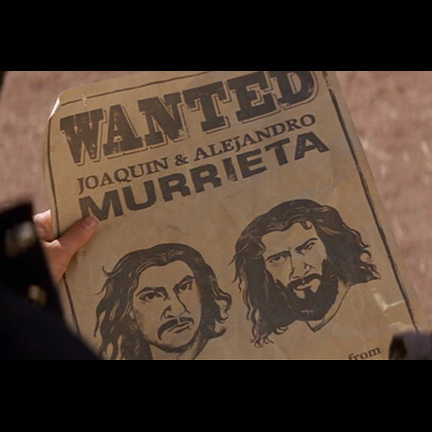 Two of these wanted posters first appear onscreen in the first half of the film as bounty hunter “Three-Fingered Jack” (L.Q. 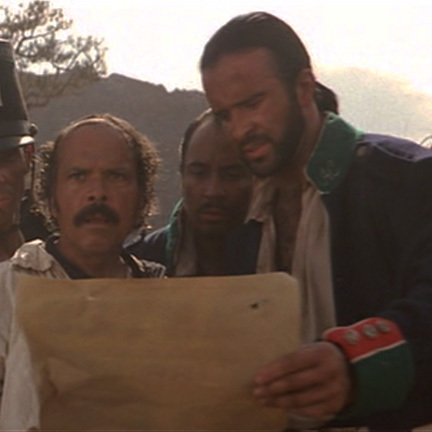 Jones) enters a small village with the two Murrieta brothers in tow behind his horse, on an apparent mission to collect their bounty. 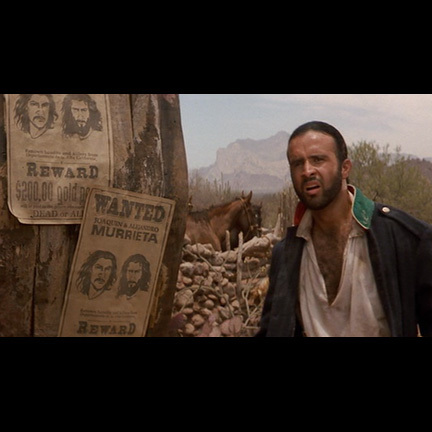 “Corporal Armando Garciez” (Jose Perez) can clearly be seen removing one of the posters from the wall to show to the other members of the village. 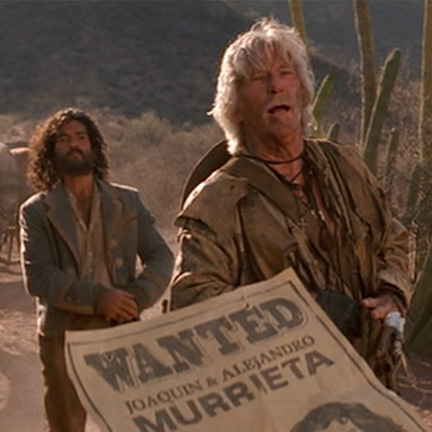 The poster is clearly seen in the ensuing confrontation between Garciez, the villagers, and Jack and the Murrieta brothers when it’s later revealed that the bounty hunter act was a clever ruse. The prop is in good hand aged/distressed screen used condition, and is complete with the nail holes and rips to ensure continuity with the scene where Cpl. 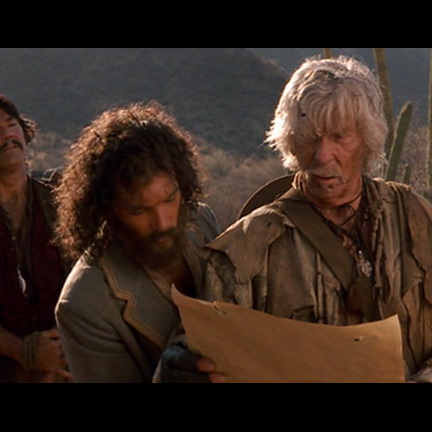 Garciez removed the poster from the wall before his confrontation with Three-Fingered Jack. Accompanied by a letter of authenticity.